The narration, the cast, the story. Just mind-blowing. A definite listen for anyone who enjoys radio. The way the ambient sounds, the story has been narrated is just unfathomable. Awesome. Really superb adaptation. 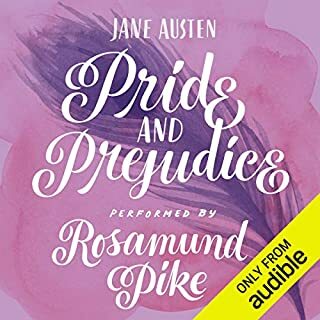 The cast added their own touch to the audio book, making it even more engaging and thrilling. This brings the book to life wonderfully. The casting is perfect BC makes a wonderful Angel Islington. A fantastic listen. Would you consider the audio edition of Neverwhere [Adaptation] to be better than the print version? Full of sound effects and great character portrayals both of which added to the story rather than detracting from it. A mixture of fantastical and real gritty London. I loved the acting, they really got into the story and sounded like they were enjoying themselves. Great entertainment, I felt like I was watching a movie! A concise, thourougly enjoyable and unpredictable play. An outstanding cast performs this first-class performance. Whilst each member is known for other works, they bring Neil Gaiman's tale alive. I've found myself observing the folk around me in a different way, almost looking for people from London Below. 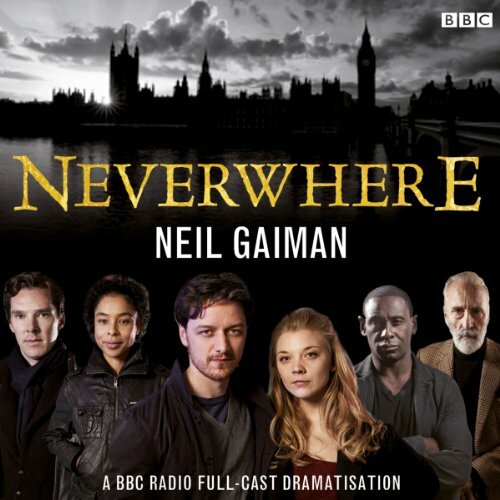 Would you listen to Neverwhere [Adaptation] again? Why? Absolutely. Good adaptation & well enacted. Have listened a few times & enjoyed enjoyed it as much each time. Well cast. I love Gaiman's style but hadn't had the chance to read Neverwhere. This allowed me a teaser that encouraged me to find time to read the source. Amazing Story, Amazing Cast, Amazing Soundscape.. 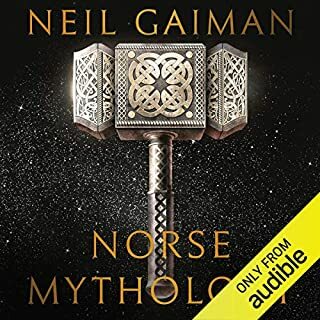 I was SO happy to see Audible have this now, I first heard it on the Radio and loved it, it's my favourite Neil Gaiman story, Dirk Maggs and the cast (including Christopher Lee, Cumberbatch and Natalie Dormer) bring it to life in an exceptional way. The soundscapes and effects add so much value, this is the BBC at it's best. Brilliant. 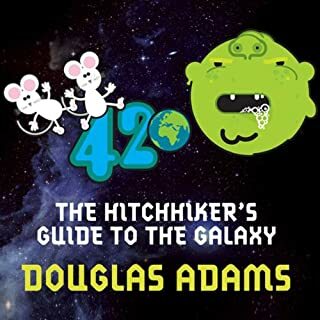 I have not read the print version, but this adaptation with different actors and sound effects was excellent, and I imagine very different from the book version. There are several: Hunter, Door, and also the protagonist, Richard. It's difficult to pin point why. They all add depth to the characters and especially Benedict Cumberbatch as the Angel gives an excellent performance. Like Gaiman's other book, the story has a fairytale-like quality to it. It's intentionally (I think) silly in places, but quite enjoyable and not very long. Would you listen to Neverwhere again? Why? Yes I'd listen again and probably again after that. The dramatisation was excellent, the only very minor criticism was the sound recording at the beginning where I missed some of the dialogue. The actors were excellent as was the storey line. I listened to the whole book in one go. What was one of the most memorable moments of Neverwhere? The fantasy locations and use of real locations turning them into something completely different, who would have thought Kightsbridge could be a really dodgy place named The Nights Bridge" where your nightmares can be found. Great story. Performances really brought this to life. Enjoyed the out takes at the end too - very funny. Really enjoyed, James mcavoy was brilliant! The cast was great even if the story wasn't the best. Reminded me of a children's story. 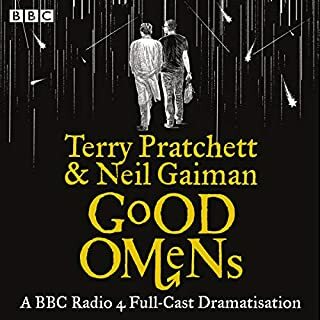 I was a fan of the book and the show so it's no surprise I loved the audio version with such an exceptional cast of voice actors. Stellar cast of performers, brilliant story, great adaption to radio play - what's not to love? What an imaginative story bought to life by amazing narrators, I highly recommend it people! I absolutely adored it! the beautifully recognizable voices from some of the greatest actors from the UK were stunning and very well presented. A simple storyline but enthusiastically performed made it consistantly engaging. To be honest the story is a little cliched. Then again, I guess all stories are a little cliches in their own ways. A brilliant adaptation with fantastic actors. They really brought it alive. I particularly lived Anthony Head, very reminiscent of Mr Benevolent. Love love loved it. 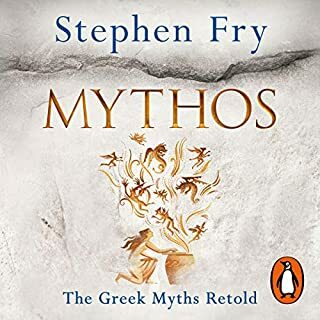 I'm new to Audible, this is only my second listening. It was fabulous, I've never read the book before, but have read other works by the author. This adaption is so good that it's not necessary to know the source material. Listening to the broadcast was almost like reading it, and the actors were all so marvellous!! I loved picking out the familiar voices and picturing them in their roles. 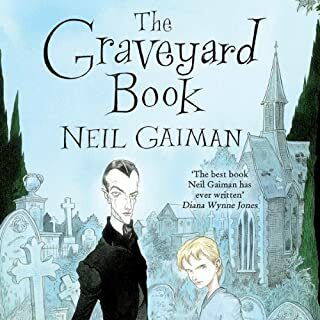 If you're a fan of Neil Gaiman then you should listen to this! !